Most ESL websites are for beginners. You’ve worked hard to reach an intermediate and advanced level by having a huge amount of dedication. We have designed courses and activities specifically for more advanced students to find the vocabulary they need, improve listening comprehension, use better study techniques for independent learning and lots of speaking practice exercises. Improve your English skills to the next level faster than you can learn in the classroom! Study the type of conversational English lessons you will hear in the real world instead of what you find in a textbook or a scripted dialogue. Advanced students need to practice speaking A LOT. On our blog, we have educational articles to give you techniques and activities to practice speaking alone, study techniques your English teacher would never share with you. 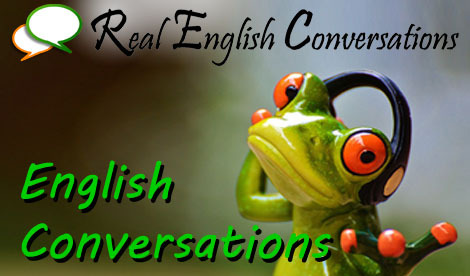 Listen to over 8 hours of conversations to really understand American English better. Don’t forget about the phrasal verb course to start talking in English like a native speaker.